Hello! So these are the books I read in Manuary - which is the celebration of only reading male authors in January. We decided on Manuary this year as I naturally just read the ladies, and this year me and bert are trying to read out of our comfort zone. In 2015 we are going to be reading HARDER! I started the month with You Get So Alone by Charles Bukowski which was super manly and also turned out to be great. If you have watched the movie Beautiful Creatures you may recognise the Bukowski....(and maybe you should watch that movie - it's a mixture of being perfect and then jumping the shark). Next up was Woodsman by Ben Law which was poop. I like a woodsy nature book as much as the next person (in fact more) but I don't think Ben is much of a writer and he had some dubious ideas about education and stuff. Was glad to finish it. Then it was the turn of Wolf in White Van by John Darnielle. Darnielle is the singer from Mountain Goats whom I love... and the writing here was (as expected) spot on. Shame a bit about the structure and the plot though. I would still recommend this as even though it didn't quite work it has stayed with me. Then I read Await Your Reply by Dan Chaon which was great. Dan Chaon does some sublime writing here and structurally and plottily he is really top notch. This novel was page turnery, literary, surprising and complex - I have no idea why it has taken me so long to read it (it's been on my bookshelf since 2009). After I finished this I started about four other books and gave up on them all.... I had to admit to myself that I had a book hangover... so I waited for it to pass by reading The Yoga Sutras of Patanjali and Me and Earl and the Dying Girl by Jesse Andrews which is a teen book that had had super good reviews on goodreads. There was a whole pile of funny stuff in this teen book and I laughed out loud quite a bit, but it wasn't great overall. So that was Manuary. What did you read this month? have you read any of these books? are you going to read more out of your comfort zone this year? read more diversely? to read harder? this is me at the end of day four of yoga teacher training. The course is a 200 hour one and runs from january to november over a number of long weekends. but by the second day I felt better and more at home and after four days of yoga (and travelling - it takes me a couple of hours to get to the place i'm training and then a couple of hours home obvs) it feels weird to be sitting on the sofa writing my blog today. so, I need to do some reading today. are you doing anything new and scary in 2015? have you done a yoga teacher training course? I just ordered this sweatshirt. Although I won't be looking as good as Laura does in the above picture. how cute does sadie look here?? My mum gave us this cushion. I hestitate to call this a blog 're-design'... but I have moved some stuff around. If you have a new blog, can you let me know? 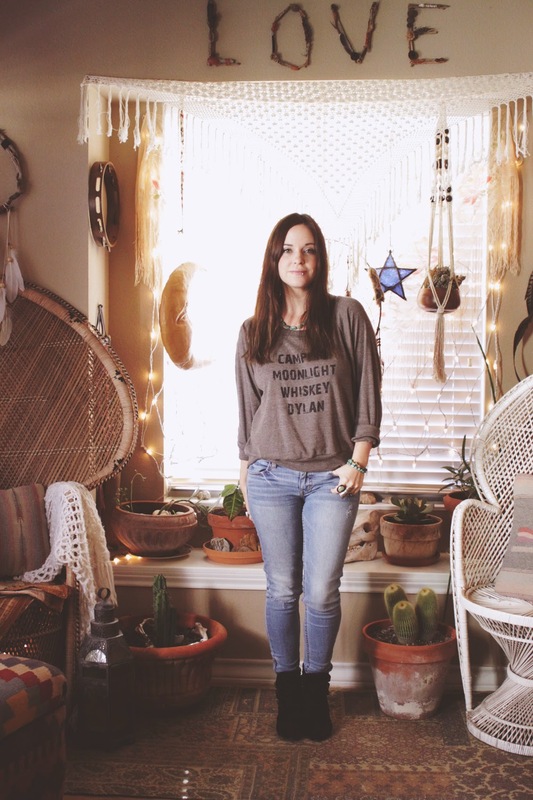 What blogs are you liking? also, excitingly, the lovely bert has started a blog - it's going to be about books and music in the main I think, but other things too of course! go say hi! I am currently in the throes of Manuary (reading only books by male writers in January) about which I will share with you at the end of the month ('citin huh?). And I admit that I am missing the ladies. but, but, I found some REALLY great stuff that's coming out soon. first off - a memoir by Kim Gordon! I am so excited to read this - apparently it's going to cover her childhood, 80s and 90s New York, her break up with Thurston Moore and, of course, MUSIC. To be honest I am still reeling from Kim and Thurston's break up (it happened in 2011, so I need to get over it) and I used to LOVE Thurston so much and now there's a little part of me that doesn't. The book is coming out at the end of February. 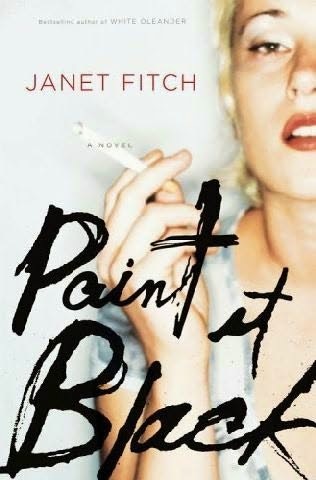 When I think about my most favourite books ever (a difficult task) I always come back to 'Paint it Black' by Janet Fitch. I LOVE this book so much, I prefer it to Fitch's previous book 'White Oleander' which is a bit controversial of me. Apparently Janet Fitch is writing a new novel set during the Russian revolution, I cannot wait. 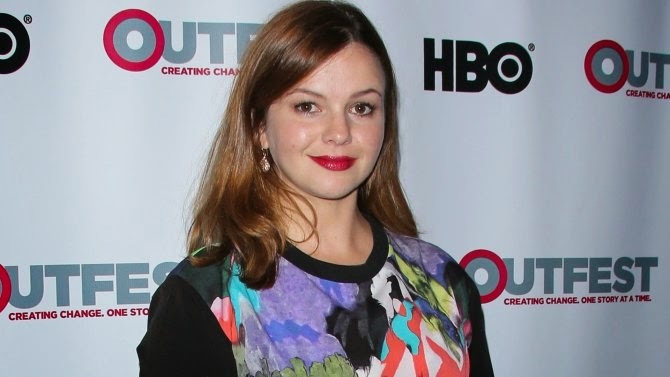 So, I heard that there was going to be a film of Paint it Black.... and then I heard that Amber Tamblyn was writing and directing the movie version! yes! It's currently in post-production so am not sure when it will be out. 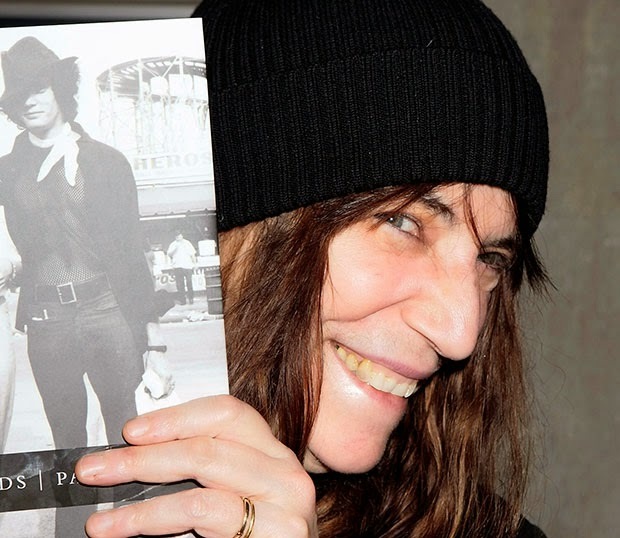 Have you read Patti Smith's memoir 'Just Kids'? if you haven't, go read it, because it is one of the most beautiful books ever written. I haven't met anyone who doesn't love it - well, someone bert knows said they didn't like it but they are just wrong - it is so inspiring and gorgeously written. I almost had a panic attack when I found out yesterday that there is a follow up coming out this year! although I'm thinking we shouldn't overhype it for ourselves, because realistically, it can't be as good as Just Kids, but it's still going to be one of the best books we read this year, right? Is there anything you are looking forward to this year books/movies/music wise? I am also secretly looking foward to seeing the 'Fifty shades of grey' film..... la la la. like beef bourguignon! But Seitan! I am having a dry january* but we needed wine for pasta sauce so I went and bought a bottle. We only used a little so it meant that we had almost a full bottle of wine left over. what to cook? what to cook? luckily, I have watched the movie Julie and Julia about half a million times, and luckily I had just watched it and remembered the beef bourguignon... how she first makes it and burns it and then makes it again and its delicious. I remembered all this while in the relaxation part in a yoga class. So we bought seitan and I looked online for some recipes and there's a whole 'thing' where people are veganising Julia Child recipes! uh-huh! anyway, this is how we made it. I fried the seitan in olive oil until browned and then put aside. Next I fried 3 siced carrots and two finely chopped onions. after they'd cooked a little while I added 3 chopped garlic cloves and added the sietan back in. after that I mixed in 2 tablespoons of flour and some nutrional yeast flakes and stirred them in and put it in a heated oven for about five minutes. After that, I returned it to the heat and added about 3/4 bottle of red wine, some dried mixed herbs and a tablespoon of tomato puree. Then it just goes in the oven to cook for about an hour. you might need to check it every now and again and add some water. it was pretty rich. I was worried it would taste of wine, but it didn't, it just tasted of awesome. we had it with bread, but I fancy it would be good with mash and peas. these are burgers before going in the oven. here they are cooked! we had them with sweet potato and puy lentils. this isn't a recipe for burgers, rather it's a formula... the way to make burgers so they work every time and also stay together (which can be a challenge for vegan burgers). and then veg - onion and carrot, or sweet potato or maybe beets - and rather than chopping them, grate them or mash them - it really does help! then some flavouring - some chilli perhaps? or fresh ginger? or maybe some fresh herbs? also, let it rest before shaping into patties - you probably won't need flour, but you could add a bit at the end (or some nutritional yeast flakes) just to roll them in. so kids, here are our lists of the top ten books we read this year. we are talking about books we read this year, so not neccessarily books that were published this year. oh gosh, we love to read. we have lots to choose from for our top 10! Bert would like to give an honourable mention to Stella Gibbons as an author he discovered and read this year too. if you want to know more about our thoughts on these books - we are both on good reads.